Fish such as salmon, tuna, sardines and trout all include high levels of omega 3 fatty acids and vitamin D, both which have beneficial effects on hearing health. According to research, adults who consume fish twice or more a week reduce the risk of age-related hearing loss by 42 percent (compared to adults who do not consume fish at all). The science behind the lowered risk is simple; omega 3 fatty acids strengthen the blood vessels located inside our ear’s sensory systems.  This process ultimately enhances the health of hearing and delays hearing loss. Spinach, beans, broccoli, asparagus, liver, nuts and eggs all are rich in antioxidants. In addition, regular consumption of folic acid can lower the risk of hearing loss by 20 percent. But how do these antioxidants reduce the risk of experiencing hearing loss? By working to lower the number of inner ear damaging free radicals, antioxidants can help prevent hearing loss. Commonly found in bananas, potatoes, broccoli and artichokes, magnesium has been proven to provide increased protection against hearing loss caused by exposure to loud noises. However, while magnesium does provide added protection against noise-induced hearing loss, it’s still important to keep the volume down on personal electronic devices, radios and televisions! Just like antioxidants, vitamins C and E, found in bell peppers and oranges, can also keep free radicals from developing and provide added strength to your immune system. This ultimately lowers the probability of ear infections and related illnesses. Foods, including chocolate and oysters, are excellent sources of zinc, a mineral which plays a crucial role in hearing health. Zinc can be responsible for increasing your inner ear’s ability to resist age-induced hearing loss. 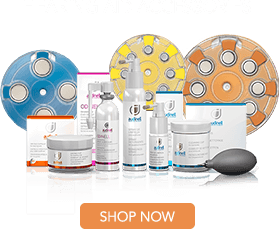 The good news about eating for hearing health is the ease of ingredients we’ve mentioned above! The next time you prepare your food or decide to dine out, ensure at least one of these ingredients is included in your ‘to-eat’ list. Remember, hearing is one of the greatest gifts in life and preserving it can greatly increase the quality of your life.